In 2016, Greater Texas Foundation will continue to pursue its work – including the focus issues of transition, transfer, math, and rural – in terms of creating guided pathways for students. There are clear connections between three of our four priority issue areas (transition, transfer, and math) to guided pathways. The fourth issue area (rural) can also be framed within guided pathways to ensure rural students are on a clear path to a postsecondary credential. 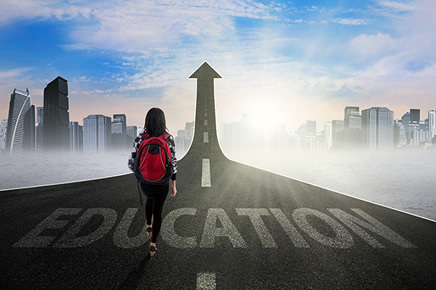 Guided pathways addresses high school to postsecondary transitions by creating clear connections between students’ high school endorsements and their postsecondary goals. Pathways include strong partnerships between districts and regional colleges, especially community colleges. Transition is also addressed through ensuring dual credit students and students who are enrolled in early college high schools are on a guided pathway. Guided pathways addresses rigor and alignment in math by ensuring students are on a math trajectory aligned to their postsecondary goals. For example, based on research by E3 Alliance, it is recommended students are on track to complete Algebra I in 8th grade, thereby setting them on track to complete pre-calculus in high school. Further, the Charles A. Dana Center, through the New Mathways Project, is working with Texas community colleges to ensure students who are placed in developmental education are taking the appropriate math content for their degree. Guided pathways addresses transfer policies and agreements between the state’s community colleges and universities to ensure students have a clear transfer path with minimal loss of credit between institutions. Finally, guided pathways can help ensure success of rural students by making sure they too are on a clear, cohesive track to a postsecondary credential. For an exceptional example of how one region is smoothing pathways and breaking down barriers for traditionally underserved students, check out Addressing the 61st Hour Challenge: Collaborating in El Paso to Create Seamless Pathways from High School to College written by Jobs for the Future Dr. Nancy Hoffman with Valerie Lundy-Wagner. Click here for the full press release and access to the article. Look for more about this work in 2016 and beyond. Thank you again for your interest in and support of Greater Texas Foundation’s mission.